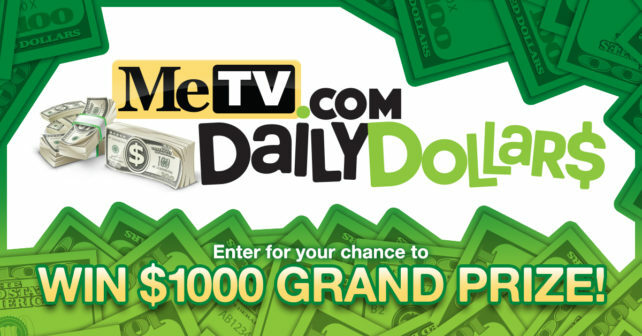 MeTV.com Daily Dollar$ – Click the link to win! Welcome to MeTV.com Daily Dollar$, where you can win money every day! We are giving away $200 a day for seven days, and a grand prize of $1,000. First, find the daily keyword. Then, enter it each day for your chance to win the daily prize of $200 as well as be eligible to win the grand prize of $1,000. From December 16, 2017, at 12 AM EST through Friday, December 22, at 11:59 PM EST, enter the daily keyword for your chance at the daily prize of $200 as well as the grand prize of $1,000. Each day, the daily keyword will appear on one of the pages listed above.